HASHIMOTO Toru, the mayor of Osaka City who behaves as a dictator, should read the following articles carefully. 1. Letter of AKAGAWA Jiro, writer, to Asahi Shimbun dated April 12, 2012 (photo)．Its title is “Mayor Hashimoto, do not coerce your views”. 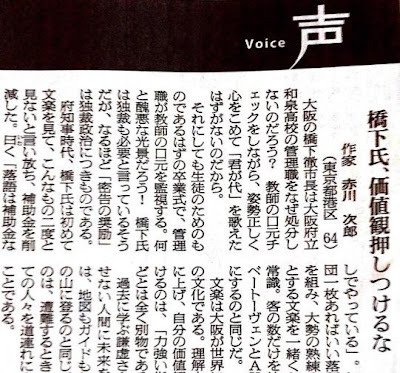 Akagawa strongly criticizes Hashimoto’s “encouragement of informing” whether teachers are really moving their mouths to sing “Kimigayo”, Japan’s national anthem　ａｓ　ｄｉｃｔａｔｏｒｓｈｉｐ．. Yamada was reprimanded for “not standing during kimigayo playing” and was urged to “convert” at a disciplinary training session. He refused to sign an oath, “I follow an order to sing the national anthem at graduation and entrance ceremonies from now on”. As a result, his “reemployment” as a teacher, once confirmed, was revoked. Virtually, he was “fired”. He expressed his feelings in a flｉer that was handed to his colleagues at his resignation ceremony. “They don’t understand anything.” “We requested a negotiation, but the executive director said he would call the police”. 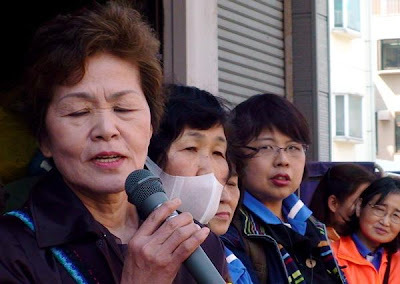 Female employees of Davenroy Linen Supply, headquartered in Tokyo, expressed their anger one after another (photo). The cleaning company is unilaterally going to close its factory and dismiss the employees. 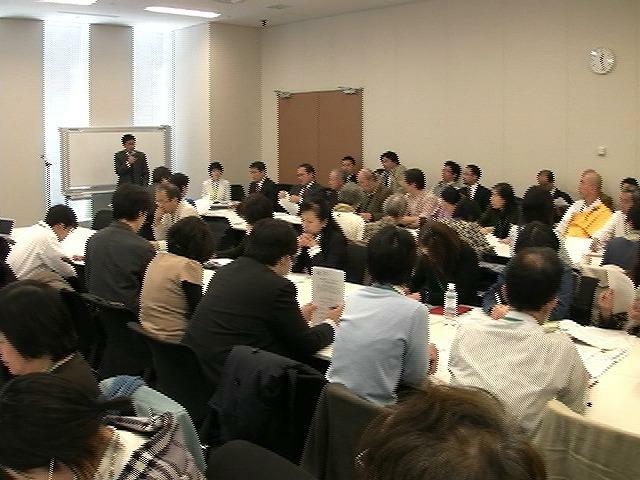 The management solicited voluntary retirement of 120 employees on April 8 and 9, 2012. In response, members of the Davenroy Local of the National Union of General Workers Tokyo Tobu and their supporters protested against the dismissal at Davenroy’s Omori Factory from early in the morning on both days. The demonstration rocked the factory. The union members demanded board members of the company to cancel the meeting on voluntary retirement and accept collective bargaining, but the management totally ignored the demands and forcibly started soliciting it. The factory is scheduled to be closed at the end of April. “Law to Support Victims of Nuclear Disaster” now! 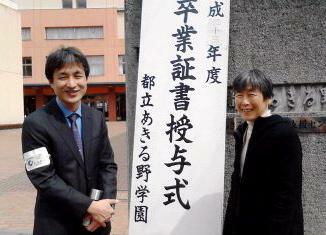 Photo: TANAKA with NEZU Kimiko on his left.